Stamford Land Corporation’s Macquaire Park Village sold by CBRE has seen sales of around 600 apartments across the seven planned buildings. Ben Stewart, a Director of Residential Projects at CBRE, has never seen anything like it. The final tower, The Sydney, was released to market in March 2014. Of the 152 apartments offered in the 23-level tower, The Sydney, at Macquarie Park Village near North Ryde, only 35 remained post VIP release. Six of the apartments sold for between $1.32 million and $1.6 million. Prices for remaining units start at $635,000. The first stage of the development was released to market in November 2013 and sold a record 379 units worth $260 million. “There hasn’t been a more successful project in terms of volume of sales in such a short period,” says Stewart of the Allen Jack + Cottier-designed precinct. Located on the freehold 22,000 square metre site of Stamford Grand North Ryde Hotel at the corner of Herring and Epping Roads in Macquarie Park, the $430 million mixed-use Macquarie Park Village will be home to over 1,000 residents on completion. Leighton Properties in joint venture with real estate private equity firm Qualitas, sold all 129 apartments in 4 hours in late May, realising more than $130 million in sales. Colliers International, the 20-level apartment development attracted interest from more than 2,000 people, oversubscribing the project many times over. Buyers included a mix of investors and owner-occupiers. Prices for one and two-bedroom apartments ranged from $585,000 for a 47 square metre one-bedroom apartment and from $910,000 for an 80 square metre two-bedroom apartment. Many apartments are orientated northwest towards Sydney Harbour, the Opera House, Harbour Bridge and Sydney’s CBD skyline, or northeast towards breathtaking ocean and district views. The highest price achieved was $2.165 million for a 111 square metre, three bedroom apartment with spectacular ocean views on level 20. The collection of apartments designed by Kann Finch and DC8, with interiors by the award-winning Koichi Takada. The project has just one neighbouring building to its south, which means the apartments, fitted with floor-to-ceiling windows and generous balconies are flooded with light. David Chittenden, Colliers International General Manager of Residential said, “AQUA is on the most prominent, uncompromised gateway site in Bondi Junction. It’s a comparatively boutique building with the only seven residences per floor and a design intended to create the intimacy of a small community environment. 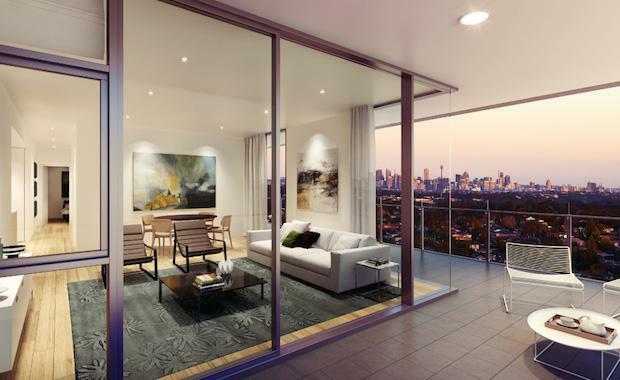 Chinese group Bridge Hill Group nearly sold out its 126 unit luxury tower in harbourside Milsons Point when it released to market on November 2nd 2013. A total of $140 million worth of units sold in two hours and two sub-penthouses in the 18-storey tower sold for $7.5 million and $8 million respectively. designed the 18 storey residential building. Leighton Properties and its joint venture partner, LaSalle Investment Management. The 41 apartments in East at Erko sold out within 90 minutes, appealing to a varied demographic of ages, professionals, families and investors. The apartments and terrace houses blend sustainable, architectural design with high quality public spaces, tree-lined laneways and streets, pedestrian zones and bike paths. "Erko continues our strategy to develop urban communities close to transport and lifestyle amenities," said Gavin Tonnet, National Head of Residential at Leighton Properties. As all three buildings in stage one, comprising 263 apartments, reached their full height in July.